Were it not for Se7en, I�d call The Usual Suspects the best movie of 1995. As it stands, the film must settle for second place. But it�s a strong second, as Suspects offers a consistently intelligent, complex, and riveting piece of work. 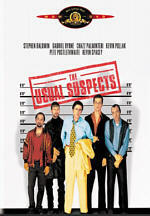 The Usual Suspects appears in an aspect ratio of approximately 2.35:1 and in a fullscreen version on this double-sided, single-layered DVD; the letterboxed image has not been enhanced for 16X9 televisions. Only the widescreen edition was viewed for this article. While good in many ways, the picture displayed some moderate problems that left it as a fairly mediocre transfer. Sharpness seemed decent but inconsistent. Most of the time the movie looked reasonably crisp and well defined. However, many wider shots appeared somewhat soft and fuzzy. They never came across as terribly blurry, but the image lacked the definition I expected. Jagged edges and moir� effects caused some minor concerns, but I saw only a few small examples of edge enhancement. Print flaws were also very modest. I detected a few specks and some light grain appeared during a few interiors, but these caused no real concerns. Colors looked fairly bright and vivid throughout most of the film. At times I thought they came across as somewhat flat and bland on a few occasions, but those examples occurred infrequently. Most of the time the tones were vibrant and clear. Black levels seemed reasonably deep and rich much of the time, but contrast was a moderate issue. At times the picture seemed too bright, and it acquired a slightly washed out look on occasion. This didn�t appear to affect low-light situations, though, as they were appropriately thick but not overly heavy or too bright. Overall, The Usual Suspects provided a watchable but moderately flawed picture. Though The Usual Suspects featured a Dolby Digital 5.1 soundtrack theatrically, this DVD offered only a Dolby Surround 2.0 mix. Suspects was a very chatty film, and the soundfield remained oriented toward the forward spectrum. In that realm, music showed very good stereo spread and presence, while effects also demonstrated solid breadth and movement at times. During a lot of the film, those elements largely remained in the center, but at times, the mix came more to life and offered clean panning and a nicely blended track. Surround usage tended to remain within the dimension of general reinforcement. The music worked especially well in that regard, as the rear speakers neatly enhanced the score. Effects also worked nicely in some scenes, especially those that involved gunfire or explosions. Audio quality appeared good. Speech seemed warm and natural through the movie, and I discerned no edginess or problems related to intelligibility. Effects appeared clean and accurate, and they boasted good bass response when appropriate; elements like foghorns or explosions offered solid oomph. Music worked best of all, as the score seemed clear and bright, and it also featured nice depth and dynamic range. The bass response sometimes came across as too loud, though. It seemed somewhat boomy and excessive at times. Overall, the mix worked well, but it wasn�t anything special. This DVD includes only a few supplements. The sole significant piece is an absolutely terrific audio commentary from director Bryan Singer and writer Christopher McQuarrie. Both men were recorded together for this running, screen-specific track. Apparently these guys have been friends for quite some time, a fact that comes through in the natural and easy manner they have with each other. It's a wonderfully loose and lively track as these guys crack on their film and each other while they provide a great deal of information about the production. This commentary is almost as entertaining as the film itself, which is no mean feat. By the way, the overlapping comments at the end of the track have confused many people and made them wonder if they got a defective disc. Nope - it�s supposed to be that way. 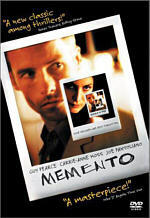 The production echoes the movie�s conclusion. It�s a funny and clever touch that ends this solid piece appropriately. In addition, we find the film�s theatrical trailer plus some previews of other DVDs such as Dead Man Walking, Fargo and Four Weddings and a Funeral. We also get very brief biographies for director Singer as well as actors Palminteri, Spacey, Byrne, Baldwin, Pollak, Del Toro, and Postlethwaite. These add up to little real content. The Usual Suspects remains a terrific film. 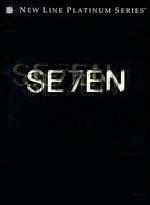 Mysteries/thrillers don�t get much better than this, as the flick fires on all cylinders. Crisply written, briskly directed, and wonderfully acted, there�s little about which I can complain, and God knows I love to complain! The DVD offers decent but unspectacular picture and sound plus only one substantial extra. This version is currently out of print and has been replaced by a new special edition from MGM. You should probably buy that one - it�s superior in every way to this disc. 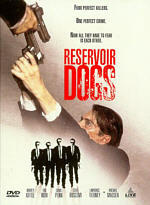 To rate this film go to the review of THE USUAL SUSPECTS: Special Edition.